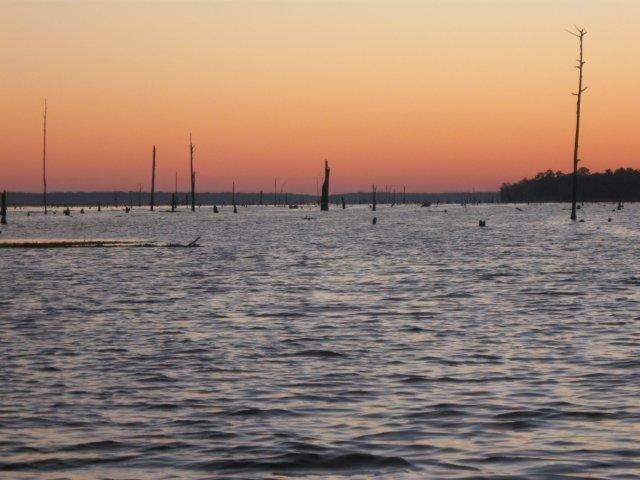 The channel meanders through a live cypress swamp surrounded by many shallow flats teeming with eel grass and is considered an excellent spawning area. From Orange Springs to the dam is what is considered Rodman Pool or Lake Oklawaha and is the submerged flood plain area. The channel meanders to the dam thru a flooded forest area surrounded by large submerged hydrilla and eel grass flats with tons of submerged and partially submerged wooden structure. There is a barge canal leading to the lock system for entry into the St. Johns River and averages probably 12 ft. in depth. There is every possible type of fishing structure available to the angler here. Deep water channels and holes, eel grass flats, hydrilla flats, floating mats of cover, flooded timber, and any other type of fishing structure you can dream of! The Reservoir is also fed by, and contains, many natural springs which makes the water quality unbelievable during the busy season and water visibility is often 8' to 12' or greater. The reservoir herself acts as a giant filter and helps to purify the water entering the St. Johns River. It is simply an aquatic wonder-world. It is home to an abundance of wildlife. You will encounter many Alligators, Turtles, Eagles, Osprey, and too many other species to begin detailing here on a trip to Rodman Reservoir. This amazing body of water and the shelter she provides to a large variation of forage species coupled with a spawning season that runs from late December thru mid-May, creates the perfect growing conditions for the giant fish that live in her. Rodman Reservoir is a wildly popular waterway and is the home to many, many tournaments and other events and continues to amaze and impress in spite of all the attention and fishermen who frequent her year in and year out. 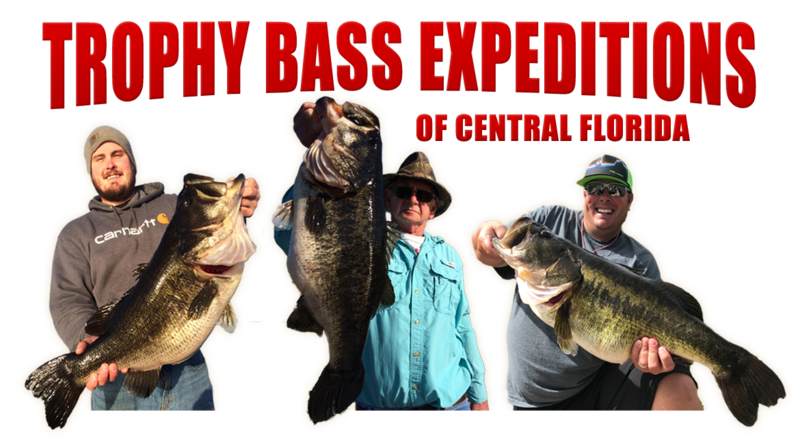 So book today and let me treat you to a days fishing on a truly amazing bass fishing destination!